Chondrite meteorite fragment. 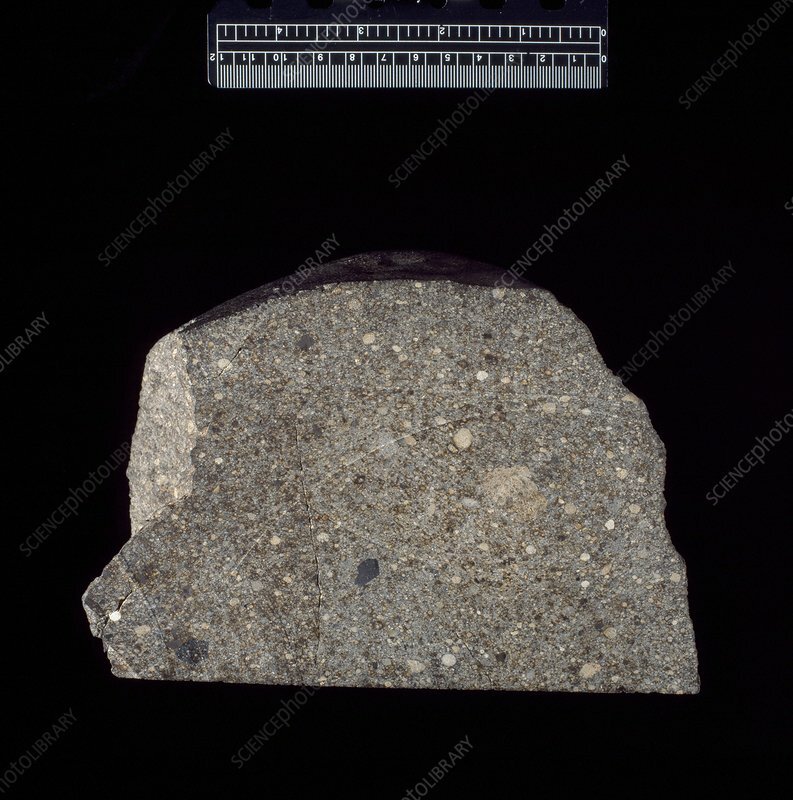 This is a type of stony meteorite that has not been altered by processes such as melting, and represents the original material that formed the asteroids. This meteorite is further classified as an LL meterorite, that is it has low total iron and low total metal contents. It fell in India in 1857.